Rhoda and John - two people whose worlds collide after a tragic accident. Their intimate drama plays out against the astounding discovery of Earth2, a parallel world that poses provocative and fascinating possibilities. Does a new Earth mean a chance at another life? Another destiny? Another self? $77.740 thousand on 4 screens. For an unusual science-fiction tale, we go to 2011’s Another Earth. On the same night that scientists discover a planet that seems to mirror the Earth, high school senior Rhoda Williams (Brit Marling) gets drunk at a party and slams her car into another vehicle. This kills two of the inhabitants and sends the other into a coma. In the meantime, Rhoda decides to go to John Burroughs (William Mapother), the man whose wife and child she killed in the car wreck. She pretends to be a maid and gets to know Burroughs as she cleans his house – all while she fails to disclose her fatal connection to him. We follow their burgeoning relationship as well as additional information about Earth Two – and what happens with Rhoda’s attempts to go there. Many people bemoan the fact that so many big-budget sci-fi blockbusters assault us with rapid editing and relentless pacing. Because of this, I get the impression that some people believe the opposite must be true: if fast and loud is bad, then slow and quiet must be good, right? Wrong. Slow and quiet can be good, but they’re not guarantees of quality in and of themselves. Which we quickly learn during the sluggish Earth. The film comes blessed with a great concept, as the idea of another planet identical to Earth – with duplicates of all our world’s inhabitants – sure seems promising. Unfortunately, Earth does next to nothing with the conceit. In truth, the entire “Earth Two” notion exists as nothing but a gimmick – and a wholly unnecessary one. Earth is a low-key character drama, and the sci-fi backdrop does nothing other than distract the viewer. We wait and wait for the movie to do something significant with “Earth Two” but it never does; it’s just a feeble attempt at a metaphor that goes almost entirely unexplored. As a character drama, Earth does better, but it’s too muted and uneventful to succeed. The movie slowly explores the relationship between Rhoda and John, but their connection never feels especially real or convincing. They don’t develop a bond for much reason other than the fact the script tells them to do so; yeah, I understand they’re a pair of broken people who help each other heal, but the movie lacks depth in its attempts to depict this development. Mostly Rhoda mopes around and does a lot of cleaning. Man, did Pledge sponsor this thing? I can’t imagine a movie with more cleaning than this one – it borders on absurd how many shots we see in which Rhoda’s mopping or scrubbing! With only 92 minutes at its disposal, the film’s slowness becomes a real impediment to its success. If Earth used the deliberate pacing to offer a rich exploration of characters and themes, that’d be fine, but instead, it tends toward those mopey shots of Rhoda and all that cleaning. The use of fake documentary-style photography doesn’t help. Actually, given the movie’s extremely low budget, some of the cinematography might’ve resulted from the filmmakers’ inability to stage more elaborate shots. Nonetheless, the style just causes distractions and calls attention to the photography in a negative way. The actors do fine in their parts, as they work their hardest to do something with the script’s inherent lack of depth, but they can’t make much out of this one. Chalk up Another Earth as a turgid disappointment. Another Earth appears in an aspect ratio of approximately 1.85:1 on this Blu-Ray Disc. Shot on digital video for a miniscule budget, the image looked okay given its roots but still tended to be up and down. Sharpness provided one of the many inconsistent elements. Some shots displayed pretty strong clarity and accuracy, while others looked fuzzy and indistinct. In general, exteriors appeared solid while interiors were more questionable. I saw no issues with jagged edges or shimmering, and no edge haloes occurred. Print flaws were absent, but the cheap digital photography led to a noisy, grainy appearance at times. Because the movie opted for a strong blue tint, the palette tended to be chilly. Very few other hues materialized, so expect a whole lot of blue. Those colors were acceptable but not impressive. Blacks looked somewhat mushy and inky, and shadows were usually a bit dense and thick. The image did enough right for a “C+” – and was clearly a victim of its production circumstances – but I still felt it was a lackluster presentation. At least the film’s DTS-HD MA 5.1 soundtrack worked better. Audio quality was good, as the movie consistently demonstrated natural, concise speech. Music was full and lush, while effects showed nice accuracy and range. The soundfield didn’t shoot for the moon, but it added some pizzazz to the proceedings. Much of the material remained environmental, as even with a sci-fi background, this was a pretty earth-bound track. Trains, the car crash and a few other elements contributed involvement in the side and rear speakers, but most of the mix focused of dialogue and music. Nothing here excelled, but it fared well enough for a “B”. Seven Deleted Scenes run a total of nine minutes, 20 seconds. We find “We’d Have a Very Clean House” (1:30), “College?” (1:29), “Floating Blossoms” (0:27), “Four Rhodas?” (1:40), “Jail Time” (1:52), “Superior Conjunction” (0:48), and “Movie Magic” (1:34). A few of these offer some additional exposition, with an emphasis on Rhoda’s parents’ attempts to push her to get her life on track. The others tend to be looser and not especially interesting. Five featurettes follow. The first three fall under the Fox Movie Channel Presents umbrella. We get “Direct Effect: Mike Cahill” (4:17), “In Character with Brit Marling” (4:23) and “In Character with William Mapother” (4:22). In these, we hear from director Mike Cahill and actors Brit Marling and William Mapother. We learn about the project’s genesis and development as well as cast/performance subjects and other production topics. Like most “Fox Movie Channel Presents” pieces, these tend to come with a promotional gloss, but they’re meatier than many and offer some good notes. The Science Behind Another Earth goes for two minutes, 39 seconds and features Marling, Cahill and astrophysicist Dr. Richard Berendzen. They muse a bit about the film’s sci-fi possibilities. That’s a promising subject but not one that the featurette explores well. For the final featurette, we get the two-minute, 29-second Creating Another Earth. It comes with notes from Cahill and Marling as they chat about the flick’s start and production. We learn about some of this in the “Fox Movie Channel Presents” pieces, but this one offers a tight little recap. A Music Video for Fall on Your Sword’s “The First Time I Saw Jupiter” comes next. This clip offers some quirky stop-motion animation and a few movie snippets. At no point does it become a great video, but it’s more interesting than many. The disc opens with ads for The Descendants and The Art of Getting By. We also find the Trailer for Earth plus a Sneak Peek for Atlas Shrugged Part One. Two extra discs accompany the Blu-ray. 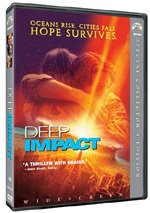 One offers a DVD version of the film, while the other gives us a digital copy of Earth. Both add some value to the release. 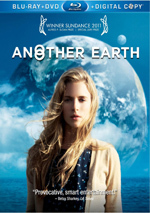 While the ads for Another Earth promise an interesting sci-fi effort, the actual film delivers a dark character drama. I’d be fine with that bait and switch if the movie was more compelling than it is; it suffers from a slow pace and lack of real narrative development along the way. The Blu-ray comes with erratic visuals, good audio and a small mix of supplements. This isn’t a bad film but it’s a fairly dull one.